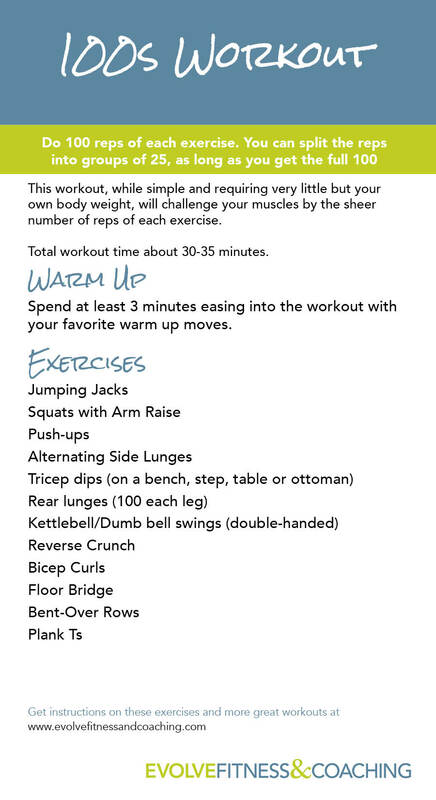 Repetition and short rest times in between exercises will torch major calories in a short amount of time with this workout. Don’t forget to warm up before you start and cool down after you finish the workout. See the instructions on how to complete each move below. Questions? Send me an email! Stand tall and take a controlled lunge (or large step) backward with your right foot. Lower your hips so that your left thigh (front leg) becomes parallel to the floor and your left knee is positioned directly over your ankle. Keep your right knee bent at a 90-degree angle and pointing toward the floor. Your right heel should be lifted. Push back up to starting position and repeat. This move is best shown on video. If you don’t have kettle bells, use a dumb bell on the heavier side (at least 10 lbs).